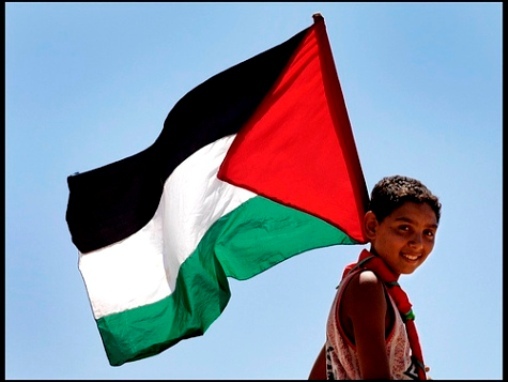 PALESTINE, March 29, 2011 (KATAKAMI.COM / PEOPLE DAILY ONLINE / XINHUA) — A Palestinian official on Monday said no Arab diplomats would accompany President Mahmoud Abbas when he visits the Gaza Strip to seek an end to Palestinian division. “We have discussed some of these ideas but they have not been developed into decisions or agreement,” said Yasser Abed Rabbo, a member of Palestine Liberation Organization (PLO)’s Executive Committee. Local media reported earlier that Abbas told members of the executive committee that the head of the Arab League (AL) and the secretary general of the Organization of Islamic Conference (OIC) would go to Gaza with him. Abbas’ visit would be his first time to set foot in Gaza since the Islamic Hamas movement routed his forces and ousted his Fatah party in June 2007. RAMALLAH, March 28, 2011 (KATAKAMI.COM / Ma’an News Agency) — There has yet to be a response from Hamas following a meeting between party members and President Mahmoud Abbas on Saturday, member of the Fatah central committee Nabil Sha’th told Ma’an. Abbas, who leads the Fatah party, met with Hamas officials to discuss a proposed trip to Gaza and efforts to mend internal Palestinian division by way of the formation of a unity government. Protests by Palestinian youth organizations which began on 14 March, demanded that leaders make real steps toward unity, prompting Prime Minister in Gaza Ismail Haniyeh to invite Abbas to Gaza for the re-launch of a unity effort. 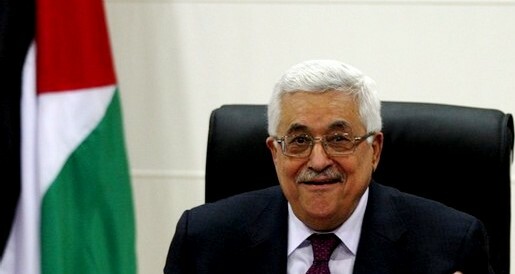 Abbas on 16 March that he would accept the invitation, but only if he was going to Gaza to sign an agreement, adding that he would not go only for a new round of talks. 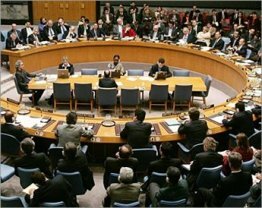 Hamas officials said the suggestion amounted to impossible preconditions, adding that real discussions were necessary to ensure an enduring agreement. The Saturday meeting, of which little is substantively known, was said to have been positive. Sha’th echoed the praise of the meeting in his Monday statement, adding that Abbas would consider entering Gaza through the Rafah crossing in Egypt, of Israel refused to allow him access via the Erez crossing. Israel’s prime minister has said that Abbas could choose between unity with Hamas and peace with Israel, and condemned the reunification of the Palestinian political sphere. As reported by Ma’an News Agency on Saturday, Aziz Dweik, the Hamas head of the Palestinian legislature, said the meeting was “highly positive” and that “practical moves on the ground will taken in the coming days” regarding Abbas’ proposed visit to Gaza to make a unity deal. “This visit has become the people’s demand and must be answered,” Dweik said. He added that he delivered a letter to Abbas from the delegation, but did not reveal its contents. Al-Ahmad said the meeting was the first practical step taken by Hamas toward facilitating Abbas’ visit. Meanwhile, Palestinian factions meeting in Gaza City expressed their support for the landmark meeting in Ramallah, the first between Abbas and Hamas in over two years. “The attendees support the initiative of Prime Minister Ismail Haniyeh to invite President Mahmoud Abbas to visit Gaza, and Abbas’ response, and the meeting Abbas held earlier with Aziz Dwiek,” said Osama Al-Haj Ahmed of the Popular Front for the Liberation of Palestine. However, some Fatah officials downplayed the importance of the meeting, saying Hamas’ official decision is made in Gaza and by its leadership abroad. During the meeting, Abbas discussed his initiative to end the division between the Fatah-led Palestinian Authority in the West Bank and the Hamas-run government in Gaza. On March 16, the president accepted an invitation from Gaza premier Ismail Haniyeh to visit the coastal enclave in the midst of mass youth protests calling for national unity. But Abbas said he would go to make a deal, not to discuss one. Haniyeh had invited the president for talks. He has not set foot in the Gaza Strip since Hamas ousted Fatah from the enclave in near civil war in 2007. The president said Palestinians would not be able to end Israel’s occupation or hold elections without achieving national unity first. Since 2007, Gaza has been effectively cut off from the West Bank, which is under the control of Fatah, and repeated attempts at reconciliation have led nowhere. RAMALLAH, West Bank, March 27, 2011 – The Palestinian president met Saturday with his rivals in the Hamas militant group in an attempt to end nearly four years of infighting that has complicated the quest for a Palestinian state, Star Tribune reported. 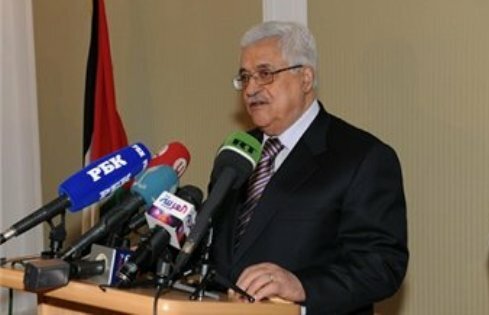 With the collapse of peace talks with Israel, Palestinian President Mahmoud Abbas and his Western-backed government have turned their attention to reconciling with the Iranian-backed Hamas movement that ousted his forces from the Gaza Strip in 2007 and left him governing only in the West Bank. Palestinians seek both territories for their nation. Hamas and other Gaza militants oppose peace with Israel and have over the past week rained rockets and mortar fire down on Israeli communities across the border. No one has been killed, but Israel for the first time deployed parts of an anti-rocket shield under development called the “Iron Dome.” Two more rockets were fired Saturday, spraying an Israeli home with shrapnel. Years of on-and-off talks between Hamas and Abbas’ Fatah movement have produced many false starts. Even mediation by Egypt, before the uprising that ousted President Hosni Mubarak, failed to bring about a breakthrough. Saturday’s meeting in the West Bank — the first to involve Abbas in a year — had a relatively modest goal, to arrange a trip by Abbas to Hamas-ruled Gaza for more talks. He has not set foot in the territory since the Hamas takeover. Senior Fatah official Azzam al-Ahmed said the meeting was a positive discussion but no headway was made in setting Abbas’ Gaza visit. “We hope that all the obstacles will be removed. The most important thing is to get to a practical result, which won’t happen before the president’s arrival to Gaza,” he said. Abbas has previously said elections would be held in September but only if a deal is reached to allow the participation of Gaza. Hamas has said it would boycott the election. Hamas lawmaker Aziz Duwaik said many issues were discussed and “practical steps will follow very soon,” without elaborating. Palestinians in both the West Bank and Gaza took to the streets earlier this month calling on their governments to reconcile. Without unity, Palestinian statehood and a peace agreement with Israel will be even harder to achieve. Talks between Israel and Abbas’ Palestinian Authority collapsed last year because of disputes over Israeli construction in the West Bank. If a unity deal is reached, independent technocrats approved by both sides would be appointed to temporarily govern the West Bank and Gaza until national elections. The winner would lead a united Palestinian Authority. However, Abbas has not revealed what his plan for a unified Palestinian Authority would look like in practical terms, and the level of acrimony between the sides significantly dims prospects for a deal. An outright Hamas election victory that shuts out Fatah would also further stall peace efforts with Israel. Hamas and Israel have largely stuck to a truce since a punishing Israeli offensive in the Gaza in early 2009. Smaller militant groups in Gaza, however, have continued to lob rockets over the border, drawing Israeli airstrikes and shelling. And violence escalated last Saturday, when Gaza militants fired more than 50 mortar shells into southern Israel. Hamas took responsibility for some of the shelling.